Xerxes was about to go out to a social occasion for the first time since he had moved to the empty dimension where his house was. He had moved there to be alone, but the real estate agency had moved other houses into the dimension and now he was about to go to a neighboring house for dinner. He didn’t particularly want to, but his ex-girlfriend Penelope, who was now his laundry room wall, was dating the dining room wall of the other house and Xerxes wanted to investigate. Xerxes had been curious how this was going to work. He had not been out of the house in the year since he had come to this dimension. Of course, it was an empty dimension, which meant that there wasn’t supposed to be anything in the whole universe except his house. That was the point. The animals, like his Prescient Pigeon or Obsequious Otter, could come and go but they were animals and he didn’t know or care how they did it. He took a step out his door and immediately stepped onto another porch. For a moment, he had a horrible feeling the two houses were connected, but that wasn’t right. He’d looked out his door before and seen only grey nothingness. “Dr. Xerxes,” Xerxes said. Xerxes wasn’t his last name and he wasn’t a doctor, but he still considered this his dimension and here he made the rules. “Occasionally,” Xerxes said, still determined to be as hard to get along with as possible. He stepped inside, took off his bathrobe and hung it on the hat stand. “Ah . . . can I get you something to drink?” Ralph Henderson asked, his etiquette compass wobbling slightly off true north. “He’s dating my ex-girlfriend,” Xerxes said and walked into the dining room. Heidi Henderson was there, setting the table. “Um, uh, well, if by that do you mean is Bumble my name, then, then yes. Yes it is,” the wall said. A tremor went through the china hutch pushed up against it. “Ah . . ah, I see,” Bumble said. Another tremor shook the china hutch, almost knocking over a decorative plate. Why am I doing this? Xerxes thought. It wasn’t even that he was jealous. He sure didn’t want to get back together with Penelope, so why was he trying to sabotage things for her? I think I’m just a terrible person, he thought. The two Hendersons were looking at him as if he were a maniac. The problem was that Xerxes said everything in such a serious way, that no one ever knew if he was serious or not. Even Xerxes wasn’t sure sometimes, which was why he preferred to be alone. That way, if he wasn’t joking about something, it was only Xerxes that found out. “Let’s just watch some TV,” Ralph said. Xerxes nodded and followed him out to the living room, his chain mail clinking slightly. During dinner, Xerxes tried to keep as quiet as possible. He had a vague feeling he was doing everything wrong and while he didn’t care, he had another vague feeling he should care, for some reason. So, he was just trying to get through the meal and go home. At least the roast beef was really good. Everything would have been fine, but the Hendersons kept insisting on talking. “So, Dr. Xerxes, how long have you been in this dimension?” Heidi asked, refilling his wine glass. “I didn’t agree to share it. I think you’re invading my space.” There was an awkward silence. Xerxes helped himself to some more roast beef. “Well, I don’t want any company. I just want to be by myself,” Xerxes said. “I wanted to see your wall Bumble, to annoy my ex-girlfriend.” The atmosphere had gotten almost frosty. Maybe I shouldn’t be so honest, Xerxes thought. That was another reason he hated social situations. Sometimes he had to tell the truth, sometimes he had to lie and he couldn’t keep track of which was which. He could see the Hendersons looking at him with an expression close to disgust and for a split second, he didn’t like himself. “I’m going to go now,” he said. “I’m sorry. I’ll take the rest of the roast beef home though. It’s very good.” He picked up the plate and walked out the front door. It wasn’t until he got home that he realized he’d forgotten his bathrobe. Do you remember Xerxes? 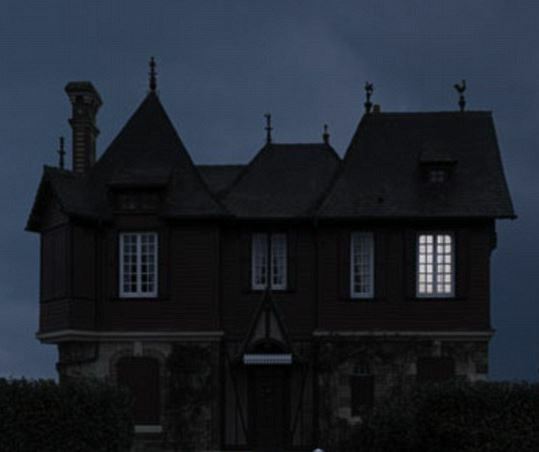 Back on June 28, 2013, I wrote a story about a strange man living in a strange house in a dimension all by himself (he thought), called Xerxes’ House. It was clearly not a complete story and I always meant to continue, and now I finally have, almost eight months later. Go read the first one if you’d like (it’s good, I swear, and it has a ShyPhone 4 in it), but read this one too. Xerxes viewed isolation like a bee views honey: he liked it—a lot—and if it wasn’t available, he made his own. It was the whole reason he had bought a house in Dimension XZG-33332, or as the real estate listing said, “a house of unpredictable eccentricity, floating in an abyss of viscous ether. Total isolation guaranteed.” Weird and alone, just the way he liked it. Then one day, he found a sock in his hall as he was wandering in to grab some lunch. It was a yellow sock and it definitely wasn’t his. He looked up, way up into the infinite void that stretched up above his hall. He hadn’t bought a ceiling for his hall, because he had thought he was the only person in this dimension but now it looked like there were going to be problems. “Who are you, Hyperbolic Ferret?” Xerxes asked. “I’m not going,” Xerxes said. “Here, take this sock back to them if it’s theirs.” He tossed the yellow sock at the otter. “I will bear this token to them as proof of your acceptance,” Obsequious Otter said. 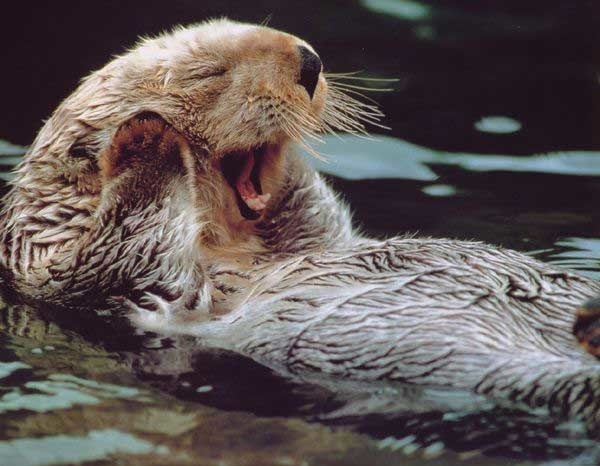 “That’s three,” the otter said. “I’ll take that as four,” the otter said and then looked hard at Xerxes. When he did not say anything, it continued, “Ah, I guess in your culture, some time needs to pass for everything to be polite. That is such a wonderful custom you have. I will be back in an hour.” It took the sock and scampered out of sight. “Don’t worry about it,” Xerxes said. He went into the laundry room and sat down. The laundry room walls contained the spirit of his ex-girlfriend, Penelope. She wasn’t dead, just inhabiting his walls against her will. It was part of the unique architecture of the building. They had never officially broken up, but considering that she hated his guts now, he had added the ex- part himself. “What are you doing here?” she asked with a sneer. “I’m having a bad day,” he said. “No, I just like to remind myself that no matter how bad things can be, they can always get worse.” He sat there and endured the stream of abuse she leveled at him. Yeah, this was a lot worse. It made him feel better. Finally, she got tired and ran out of swearwords. “So what’s wrong?” she asked. “Good, don’t go over there,” she said quickly. “I think I’ll go,” Xerxes said. “I do need to be more social, right?” He sat there, smiling, as Penelope invented five minutes of new insults for him on the spot. Xerxes had not seen another actual human in over a year and he was not quite sure what to wear. His main motivation for going was to see this wall Bumble and to annoy Penelope, but he wanted to make a statement too. Finally, he picked out a set of chain mail and wrapped a purple bathroom around it, and put a tie on, the other way around so that it went down his back. Yes, he was going to try to have a good time. Xerxes stumbled out of gargantuan bed and took the elevator down to the floor. He never made the bed; it was too hard to wrestle half an acre of down comforter into place and he was totally alone anyway. 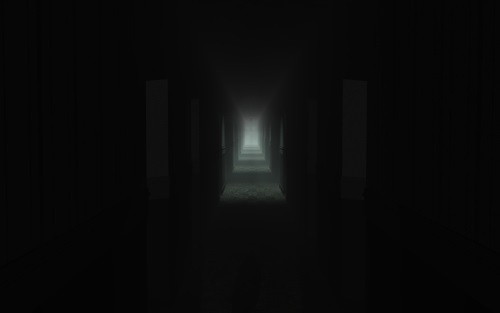 He wandered in a groggy early morning haze down the hallway, with its towering black walls of nothingness going up and up out of sight. “I knew you were sleeping,” the right-hand wall said. “You always sleep from 11pm to 7:15am sharp. It’s 7:18 now,” it added proudly. “I’ll take your word for it,” Xerxes said. “Good job, Yes’m.” He went into the kitchen to forage for breakfast. “Fine, I’ll get some more milk.” A second later, there was a rapping at the window and Xerxes opened it to see a pigeon gasping for air as it clutched frantically onto a gallon jug of milk. “Ah, Prescient Pigeon. Impeccable timing, as always,” Xerxes said. He took the jug and opened the fridge, only to see that it was filled with jugs of milk, most unopened, many past their expiration date. A few were crusted with green and had even passed their Exorcise with Fire date. Xerxes sighed. “Seriously, Mr. Pettyevil. Why do you keep doing that to me? At least tell me I’m out of cereal once in a while so I can get some breakfast.” The wall in front of him sniggered softly but didn’t reply. Of course, he didn’t have any cereal either. Every time he got some, the Cereal Python snuck in and ate it all during the night. And on top of everything, it was lactose intolerant, so it never used up any of the milk in the fridge. “I could sure go for some cereal right about now,” Xerxes said, casting a sidelong glance at the window. It didn’t work. Prescient Pigeon was lying on the windowsill, apparently unconscious from its struggle with the gallon of milk and not in any condition to go anywhere for a while. Xerxes poured himself a glass of milk from the new jug and stood in the kitchen, drinking. “Shut up, Mr. Pettyevil. I’m not falling for your tricks again, at least for another hour.” He glanced at the calendar. Dang, it really was laundry day. He hated laundry day. For one thing, the clothes he washed weren’t even his. He didn’t know whose they were; they just appeared in baskets in the laundry room every Monday and he washed them. It was part of his lease agreement. He never went out so his own clothes usually took up half a load. But what was worse than the laundry was the laundry room. “Today is Monday, so that means it’s laundry day,” Yes’m interjected. Xerxes opened the third door from the bedroom and came into a small round room with a washer and dryer sitting in the middle. Hampers of laundry stood off to one side. As with the other rooms, there was no ceiling and the black walls towered up into obscurity. “Yeah, I know, it’s just that I get busy, and, you know…” The day before, Xerxes had spent the entire day trying to build a house of cards that resembled a jaguar. “I still don’t know how you ever tricked me into this,” the wall said. Xerxes walked to the hampers and started picking up the items in disgust with a pair of tongs and flinging them into the machine. The one on top was a set of bloodied chainmail, followed by a filthy leopard skin and a set of tribble-fur underwear. Xerxes didn’t respond. He turned on the machine and left to call his real estate agent. Xerxes had a ShyPhone 4, which was always running away and hiding under the bed and high up in the corridors. Usually this was fine with Xerxes since he didn’t want to talk to anyone anyway, but now he needed to find it. He had gotten it cheap because it ran on eccentricity instead of electricity. In his house, it was always fully charged. The ShyPhone fluttered down to the bed and Xerxes grabbed it. Its screen blushed as he dialed the number for the real estate agent. Xerxes hung up and let the ShyPhone scamper away. He didn’t like the idea of neighbors, even if he couldn’t see or visit them. Hopefully nothing bad would come of it.